This weekend saw the eighth SQLBits conference take place in Brighton. Alex Whittles from Purple Frog presented two technical sessions at the conference, one on using DMVs and spatial data to visualise star schemas and the BUS matrix to automate OLAP cube documentation, and one for a bit of fun, drawing pictures using SQL Server spatial queries. The sessions were recorded so should be available to watch in the near future, in the meantime here's a quick two minute summary of each session. Purple Frog Systems are proud to announce that we've won a new contract with one of the World's leading investment banks. Purple Frog will be designing the architecture and data model for a new data warehouse providing real time analysis and reporting capability across OTC derivatives. We're delighted to have been awarded this contract, and look forward to working with such a prestigious client. The Purple Frog team have a busy few months ahead in the SQL Server Community, presenting talks at a number of SQL Server groups around the country including Southampton, London, Bristol and Exeter. We've also got another event coming up in Birmingham, which Purple Frog runs and sponsors. The SQLBits team have also announced the next SQLBits conference, being held in Liverpool between 29th September and 1st October 2011. If you're involved with SQL Server in any way, OLTP transactional programming, DBA or Data Warehousing, it's the must attend event. Our lead consultant, Alex, has submitted a couple of talks which we hope will get selected! We are absolutely thrilled that we've been asked to speak at the next SQLBits conference, in Liverpool on 1st October 2011. Alex Whittles will be presenting an introduction to PowerPivot and QlikView, showing how to get started with these in-memory analytical tools, how they differ and what their pros and cons are. This will be Alex's second SQLBits conference that he's presented at. SQLBits is the largest, and generally believed to be the best, SQL Server conference in Europe. It's only beaten in size by PASS in the US, and welcomes the best speakers from around the World. It's a three day conference that's held every 6 months, covering all aspects of SQL Server from Dev to DBA and Business Intelligence. Sessions run from level 100 for the novice to level 400 for the experienced professional; you can choose your own track to cover any level of any topic that suits you. It's not just a place to learn new skills, it's also a fantastic forum to network with like minded people, share a beer and generally bring some fun to the database world - if you've not been before then we highly recommend it. Places are booking up fast, so register for your SQLBits place here. Purple Frog adopts Purple Frog! Purple Frog is delighted to adopt the words 'Purple' and 'Frog' at AdoptAWord.com. At Purple Frog our goal is to help companies and organisations understand their data and information. We often take the essential basics of comminication for granted in our quest for ever more advanced IT systems. 'I CAN' provide children with communication difficulties advice and support to help them overcome these difficulties. This Christmas, why not adopt a word of your own, and help I CAN help a kid in the process? Martin Cairns (blog | twitter), one of Purple Frog's top consultants, has been awarded the coveted MCM (Microsoft Certified Master) certification in SQL Server 2008. The MCM certification is one of the most demanding of all certifications, and requires an exceptionally high level of knowledge and ability in the subject area. With exams as well as a grueling hands-on lab assessment, it ensures the candidate has a mix of both a deep theoretical knowledge as well as the practical ability to implement it. Martin is only the 7th person in the UK to achieve this certification, and only the 4th who doesn't work for Microsoft. We are obviously very proud of this achievement, and congratulate Martin on this very impressive award, as well as his hard work to achieve it. You can find out more about the Microsoft Certified Master program here. This year's SQL Relay events are kicking off this week with the first event being held in Edinburgh on Monday. This is followed by further events in Manchester, Birmingham, Bristol and London. SQL Relay is a series of full-day conferences across the UK providing free SQL Server training sessions to the community. The sessions cover all aspects of the SQL Server platform, from DBA to Dev and BI. This year's events are focusing on the launch and new features of SQL Server 2012. Not only are Purple Frog sponsors of the events, but our lead consultant, Alex Whittles, is also the organiser of the Birmingham SQL Relay event, working with other UK SQL Server community leaders to put on these great events for the rest of the community. Speakers at the events include Morris Novello (Microsoft's SQL Server Product Manager), Andrew Fryer (Microsoft Technical Evangelist) and a host of World class MVPs (Microsoft Most Valuable Professionals) including authors, consultants, trainers and gurus such as Allan Mitchell, Tony Rogerson, Chris Testa-O'Neill, Chris Webb, Martin Bell and Jamie Thomson! Today is a very exciting day at the PurpleFrog-Plex - as we're unveiling our new Purple Frog logo to the World. We're very proud of it, and hope you like it! Big thanks to Anil Amrit for his design expertise. On September 7th and 8th 2012 the UK will host its first SQL Saturday event, taking place in Cambridge. Purple Frog is very proud to be sponsoring this event, as well as providing Alex as a speaker. After the phenomenal success of SQL Saturday 105 in Dublin, we're sure this will be a fantastic event not to be missed. An international charity is set to see its reporting procedures and management systems enhanced, enabling it to analyse more effectively and efficiently the vital work it does across Africa, thanks to a donation of thousands of pounds worth of consultancy time by a UK business intelligence agency. 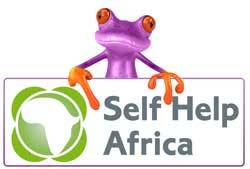 Self Help Africa has been provided with additional management information by Midlands-based Purple Frog Systems Ltd, specialists in the design and implementation of business intelligence solutions, which aims to enhance the charity’s existing accounting procedures, enabling its team to effectively communicate with partners across the globe in a matter of minutes.